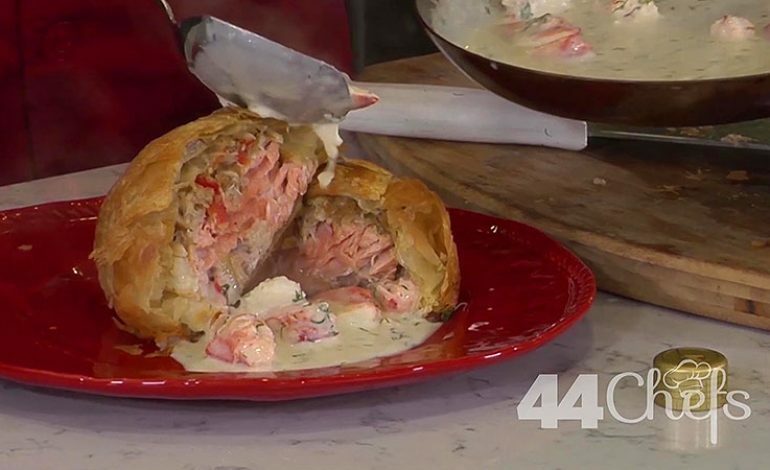 Chef Nick Weisenborn from NW Chophouse in Newburgh, IN shares his scrumptious recipe for Salmon and Crab Cake Wellington topped with a creamy lobster sauce. Roll out pastry sheet and cut into 4 equal pieces. 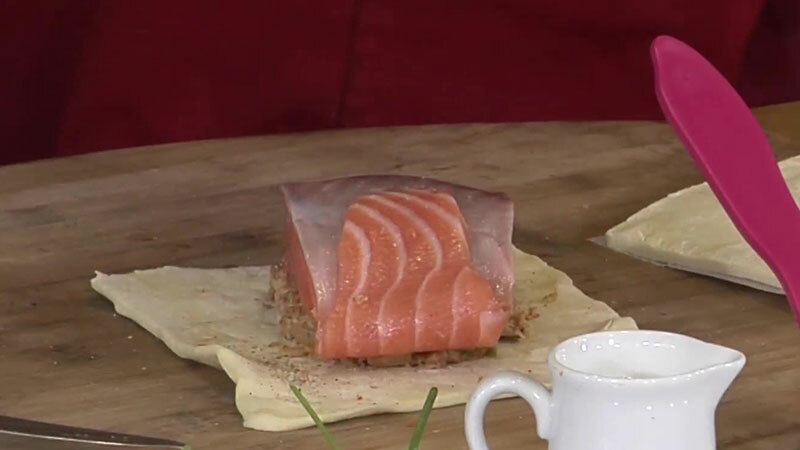 Place salmon in the middle of the pastry and top with crab meat. Add about a tablespoon of butter to each side of the salmon. Then fold sides of pastry around the fish. Pinch to close. Brush melted butter or olive oil over top of the pastry before baking. Bake until golden brown for 20-25 minutes in a 375 degree oven. In a skillet mix fresh chopped dill, salted butter and dry, white wine. When dill is warmed add the heavy cream, juice from 1/1 a lemon, and provel cheese. Let the sauce bubble to thicken. Add lobster meat at the end and allow it to warm. 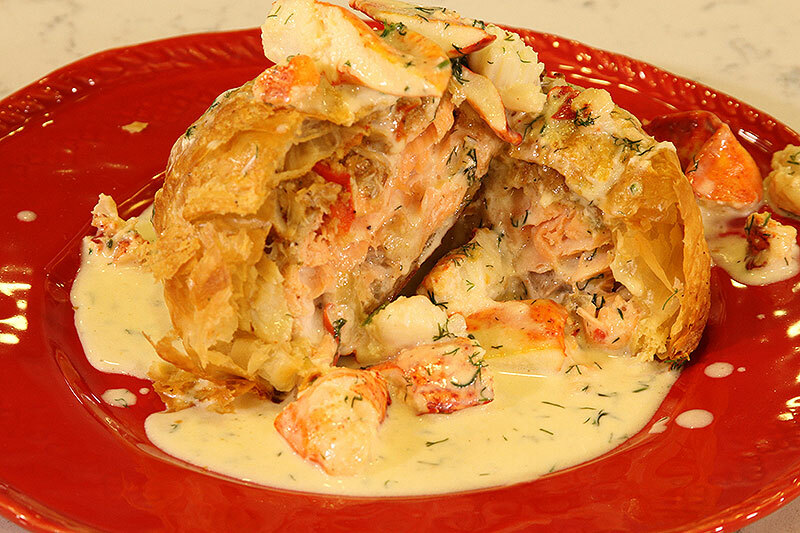 Pull your wellington from the oven and top with lobster cream sauce. Serve and enjoy!